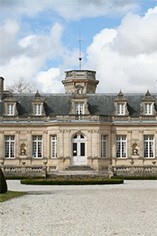 Château Beaumont is a large Cru Bourgeois estate in the Haut-Médoc which can trace its history back to 1824. Beaumont was purchased by the GMF Insurance Company in 1986 - 3 years later, GMF teamed up with Suntory to form the company Grands Millésimes de France which now owns Beaumont. 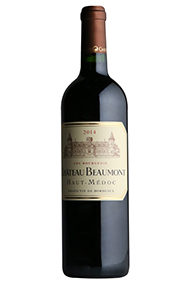 Beaumont has 105 hectares of vineyards and the blend typically is 60% Cabernet Sauvignon, 35% Merlot, with a small proportion of Cabernet Franc, and Petit Verdot. The wines are matured in oak barrels (one-third new) for between 12 and 18 months, depending on the vintage. 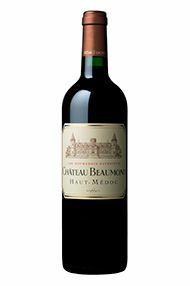 Beaumont produces medium to full bodied, dry, well-balanced clarets, with firm but supple tannins, and wonderful cassis-scented, sweet, black fruit. Quintessential gentlemen's claret. This large estate has produced a blend of 53% Cabernet Sauvignon and 46% Merlot and the rest Petit Verdot offering up notes of roasted herbs and licorice, red and black currants. Medium-bodied, relatively lush and fruity in style, it can be drunk over the next 5-6 years.